Gloria Bakhshayesh realizó sus estudios superiores en el Northern School of Music, ahora Royal Northern College of Music, y en la Universidad de Londres. Su carrera docente le ha otorgado experiencia en clases de música a todas las edades desde los cinco hasta etapas avanzadas a los dieciocho años. Durante casi veinte años ha sido profesora del Stockport Education Authority de Inglaterra, donde, trabajando con el "New Approach" de Kató Havas, se especializó en la prevención de la tensión y la ansiedad en los niños que aprenden violín. Durante este tiempo Gloria escribió y publicó su colección de libros del "New Approach" titulados "Dancing Bows" y "Ringing Strings" y fue visitada y observada por profesores de varios países que querían saber cómo aplicar el "New Approach" de Kató Havas al dar clase a niños. Trabajando en la prevención, sus libros sientan las bases para tocar sin tensión y dan a los alumnos una educación musical global, incorporando los principios rítmicos, de educación auditiva y de oído interno de Kodály. En los 90 Gloria se formó en la pedagogía Kodály en Inglaterra y Hungría. Alumna de Kató Havas desde 1977, es su Representante Personal y da cursos y clases individuales sobre el "New Approach" regularmente a todas las edades y niveles. Es presidenta de la KHANA, Kató Havas Association for the New Approach". Kató Havas es conocida internacionalmente for su enfoque único para tocar el violín. Nació en Hungría y recibió la educación tradicional virtuosística como niña prodigio en la Real Academia de Música de Budapest. Su debut en EEUU tuvo lugar en el Carnegie Hall a la edad de dieciocho años y fue elogiada por toda la crítica. Se retiró de la vida profesional a los dieciocho años para formar una familia. Durante este periodo desarrolló su método revolucionario de enseñanza y escribió sus libros extraordinarios "A New Approach to Violin Playing"; "Stage Fright, its Causes and Cures"; "The Twelve Lesson Course", y "The Violin and I", ahora traducidos a muchos idiomas. Sus "Lecture Demonstrations on the Release from Tension and Anxiety" se hicieron internacionalmente conocidas e intérpretes de todo el mundo venían a su "Twelve Lesson Course" en Oxford. Kató Havas fue fundadora y directora del International Music Festival de Oxford y miembro honorífico de la Fundación Ysaÿe de Bélgica. En 1992 la American String Teachers Association le otorgó su prestigioso "International Award" por su "logros incomparables" y en 2002 fue nombrada miembro de la Orden del Imperio Británico por sus servicios a la música. En 2013 la "European Strings Teachers Association" la distinguió con su premio "conmemorando una vida de contribución a la música". Es presidenta emérita de la Kató Havas Association for the New Approach. Gloria Bakhshayesh is a graduate of the Northern School of Music in Manchester, now the RNCM and the University of London. Her teaching career has given her experience in classroom music teaching covering all age groups from five year olds to advanced level work at age eighteen. For nearly twenty years she was a peripatetic string teacher with Stockport Education Authority in England, where, working with the ‘New Approach’ of Kató Havas, she specialised in the prevention of tension and anxiety in children learning the violin. 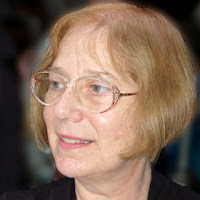 During this time Gloria wrote and published her series of 'New Approach' tutor books entitled "Dancing Bows" and "Ringing Strings" and was visited and observed by teachers from various countries wishing to know how to apply the ‘New Approach’ of Kató Havas to the teaching of children. In a preventive way her books set out to provide the foundations for tension free playing and give pupils a comprehensive musical education, incorporating Kodály principles of rhythm, ear training and inner hearing. In the 1990s Gloria received training in Kodály musicianship in England and Hungary. Having studied with Kató Havas since 1977, she is her Personal Representative and regularly gives 'New Approach' workshops and courses of lessons for individual players of all ages and levels. She is President of KHANA, the international ‘Kató Havas Association for the New Approach’. Kató Havas OBE is internationally known for her unique approach to violin playing. She was born in Hungary, and received the traditional virtuoso training as a child prodigy at the Royal Academy of Music in Budapest. Her debut in America was at Carnegie Hall at the age of eighteen, and was acclaimed by the critics everywhere. She withdrew from professional life at the age of eighteen with the start of a family. During this period she evolved her revolutionary method of teaching and wrote her extraordinary books "A New Approach to Violin Playing", "Stage Fright, its Causes and Cures", "The Twelve Lesson Course" and "The Violin and I", now translated into many languages. Her Lecture Demonstrations on the Release from Tension and Anxiety became well known internationally, and players from all over the world came to her for her famous Twelve Lesson Course in Oxford. Kató Havas was founder and Director of the International Music Festival of Oxford and Honorary Member of the Ysaye Foundation in Belgium. In 1992 the American String Teachers Association conferred upon her its prestigious International Award in recognition of her "unparalleled achievements" and in 2002 Kató Havas was appointed Order of the British Empire (OBE) in the Queen's Birthday Honours, for her services to music. In 2013, the European String Teachers' Association presented Kató Havas with its award "in celebration of a life-long contribution to music". She is President Emeritus of the Kató Havas Association for the New Approach.